A grandfather who needed 11 hours of surgery and narrowly escaped with his life after being knocked off his bike has told how the accident continues to cast a shadow over his life. David Herbert, who served as secretary of Hartlepool Cycling Club for more than 20 years, suffered a bleed on the brain, multiple breaks to his right leg, a fractured spine and several broken ribs in the collision. It happened as the 73-year-old and two friends - all wearing brightly coloured clothing - rode home on the A689 from a club meeting one evening last July. David said he was injured in a collision with a car turning right across the carriageway to enter Butterwick Road, heading towards Trimdon and Fishburn. He was the leader rider in the group, and was thrown into the air and then onto the road, with the impact leaving him fighting for his life. He needed 11 hours of surgery and has since returned to the operating theatre, with the most recent procedure completed last month. David said: “I have always loved cycling from a very young age, and the fact that I can no longer get out on my bike is an enormous personal loss to me. “It is devastating knowing that I may never again be able to pop out with my cycling friends and feel the wind in my face and that brilliant sense of freedom that any cyclist knows only too well. “The physical injuries I have sustained are severe and impact greatly on my day-to-day life. “There are so many drivers that need to take more care when they get behind the wheel. 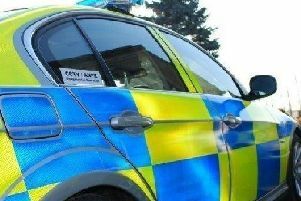 A 20-year-old man was fined £300, and ordered to pay a £30 victim surcharge and £620 costs, with his licence endorsed with six penalty points, in connection with the incident. As a British Cycling member, David was referred to law firm Leigh Day, which is representing him in a civil case.